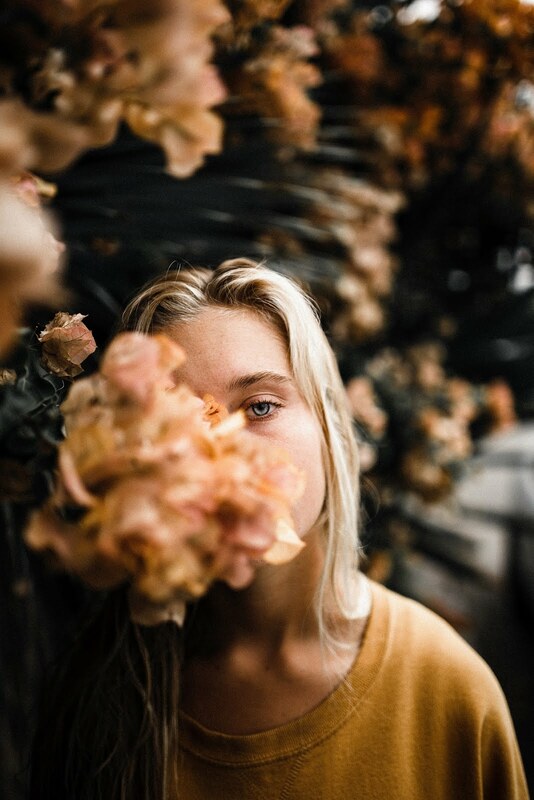 It is widely accepted that men are considerably harder to buy for than ladies. There are many shiny, sparkly, or fragrant options for girly gifts that do not really have an equal in the man department. If your man has a hobby, fair enough, you have options, but even then it can get a little repetitive after a few years! It has recently come to my attention that man-gift-trouble starts a lot earlier than I previously realised. 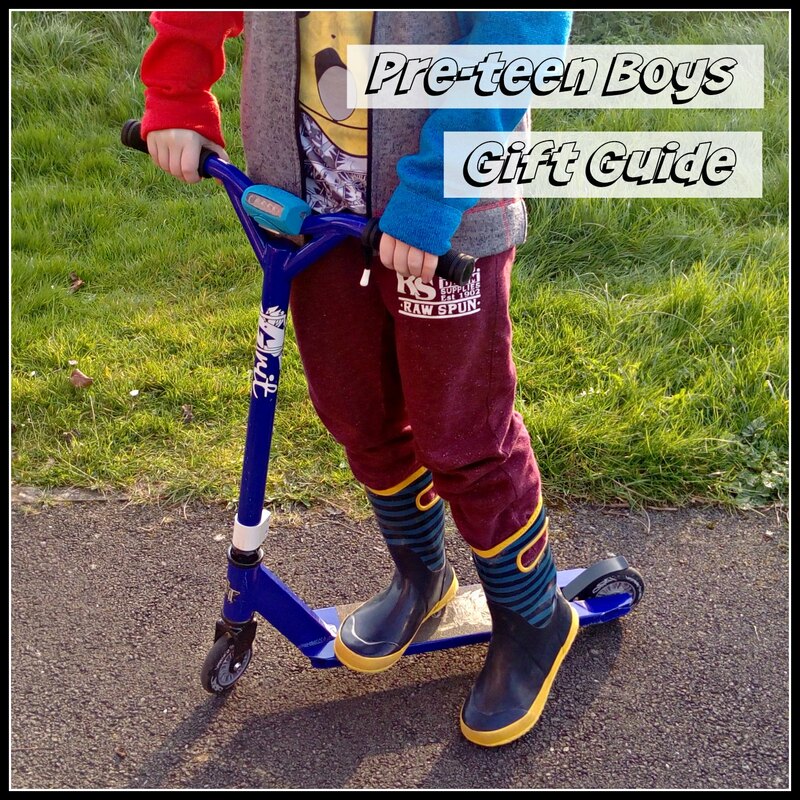 When L was turning 11, a few weeks ago, I suddenly realised I had been thrust into the 'what to buy a (small) man' dilemma much earlier than anticipated and I had few ideas for this tricky age. Fortunately, though, some great brands came to my rescue with some ideas I hadn't even thought of! Items were sent free for us to play with, opinions are always our own. 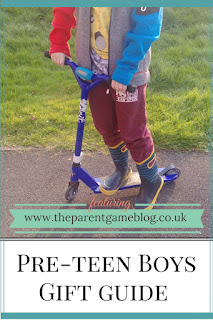 L has always been a huge fan of his scooter, but he has grown out of the standard scooters that are available in the shops. It was time to progress to a more specialist 'stunt' scooter. I don't expect him to necessarily make a career out of pro-skateboarding, it's more about reflecting his move from chunkier, shorter scooters, into something more befitting a boy approaching secondary school age. 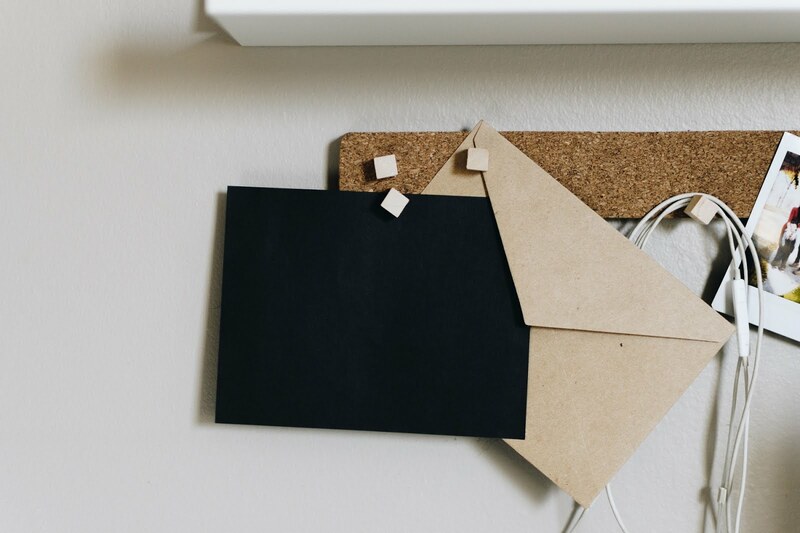 If you've been around for a while, you may remember the lovely folk at Skates.co.uk, who always contribute something lovely to our annual Christmas competition. They have the best website for all kinds of wheely objects, including heelies, BMXs, balance bikes, skateboards, and lots of other fun conveyors of people. Although not exclusively for older children, the website has an exceptional range of different types of scooters and accessories, making it the perfect place to shop for a new pair of wheels. 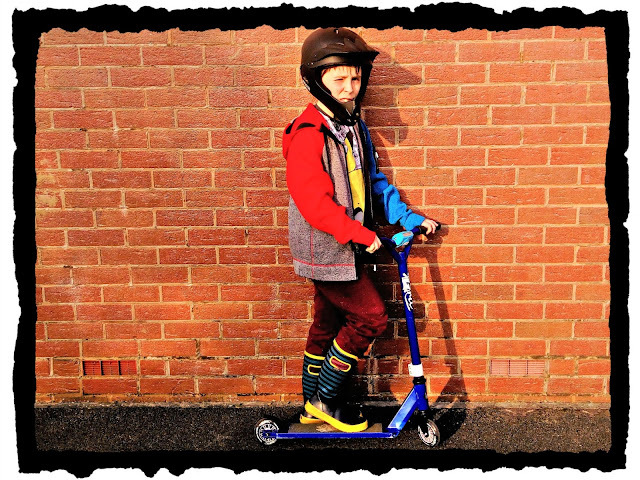 We chose the Grit Atom Scooter in Blue, which is a good stunt scooter for beginners. It's light and has the small wheels and heavy duty non-slip deck, you would expect, as well as solid handle grips. The pattern and colourway are perfect for someone old enough to want something a bit more sophisticated. My next recommendation is one I bought myself and it is an essential that you would not want to forget if you are purchasing a stunt scooter, or similar. These scooters are lighter faster and have smaller wheels than a standard scooter, so they can take a bit of getting used to. The helmet L is wearing looks really cool and has a very handy mouth guard, which is extremely useful for protecting their vulnerable teeth, when they inevitably fall off! 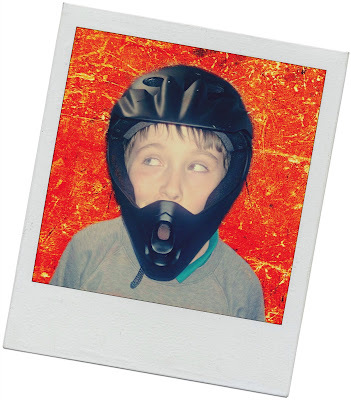 This Zinc Full Face Bike Helmet may seem a bit unnecessary but, as a child I lost a front tooth, and it really isn't fun, as well as potentially causing roblems as you get older. Available from Argos for £24.99, I think it's a huge investment for all the protection it offers. Accidents will happen, but this may prevent the damage from being permanent. From the death-defying to the cuddly. 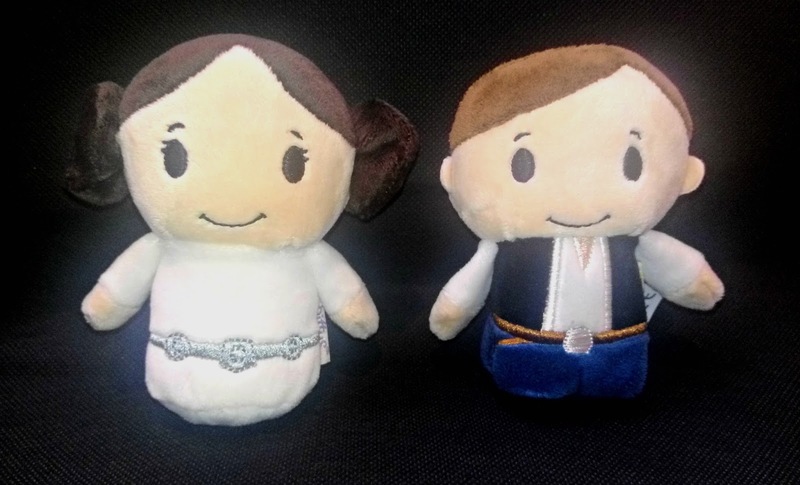 L has two new editions to his Star Wars Itty Bitty collection, Han Solo and Princess Leia. 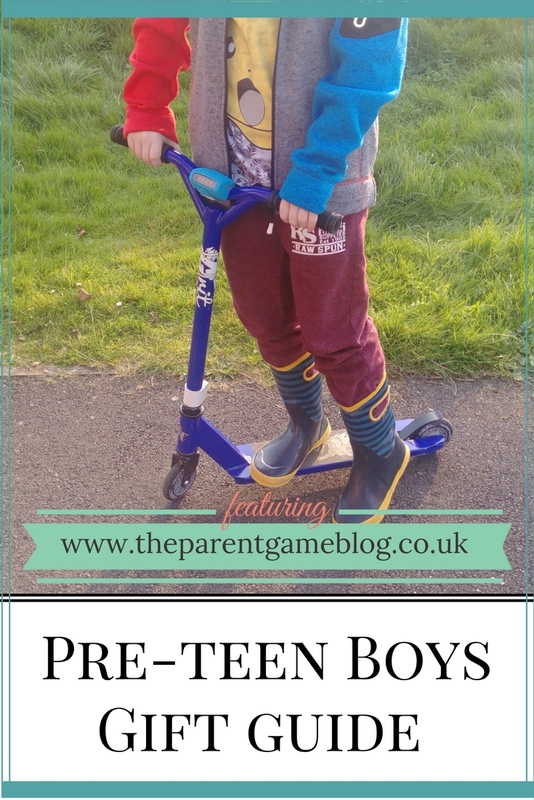 It's really helpful to have something collectable that you can add to and these are perfect, because they are not too big and there's a huge range to choose from, making it easy to match them to the tastes of the child (or adult, in fact!). Talking of collections, no pre-teen gift guide would be complete without mentioning Pokemon cards, the latest craze amongst Pokefans young and old. Not actually new, I remember them from the nineties, but they have had a masive revival on the back of the popularity of Pokemon Go. There are a lot of different choices for buying the cards, from a simple booster pack to an elaborate pack with a featured rare card. 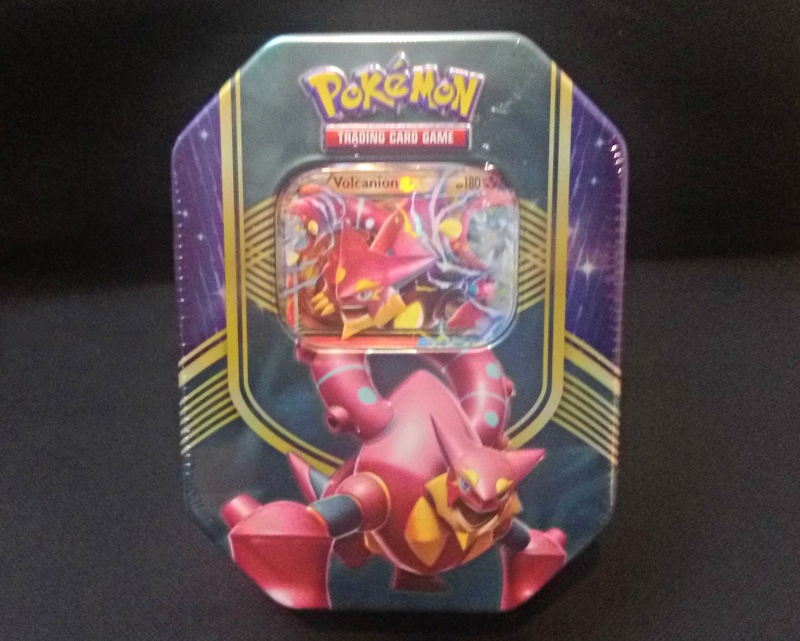 I found these tins in Asda featuring one EX card and four booster packs. I can't be sure they will be the same price now, because they are not on their website, but I bought them a few weeks ago for £13.97, which is around £8 cheaper than some retailers. Considering you get a lovely storage tin too, it's the best value set I've found. You can enter to win one in our Pokemon Competition, until midnight on the 21st of April. My last pick, is a wish list item that L really wants, but hasn't got yet, because he wanted a lot of things, so he had to choose what he asked for and is hoping to save up for this one! I actually love it, because it's really educational. Computers and coding are becoming very important in the school curriculum from an early age and this set teaches, whilst being Lego, so no one has to know they are learning! You can build all sorts of creations, from a robot to a scorpion, and they are all fully programmable through an app. If that stops being fun, you can even write your on programmes through downloadable computer software too. They are not cheap, but offer a lot of play value, with a strong educational element too. Amazon have a £95 off deal at the moment too. 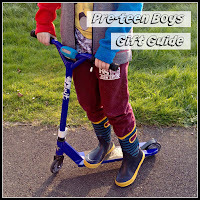 I hope I've helped with your pre-teen gift dilemmas, and don't forget to follow the link to enter our competition! I have a 12 year old nephew and I find him so hard to buy for. I felt I ought to add the helmet after the scooter, as Luke fell off it the day he got it and chipped his front tooth. Only slightly, and he's fine, but it really made me think. I wasn't well that day, or I would probably have not been so daft as to let him out helmet-free!